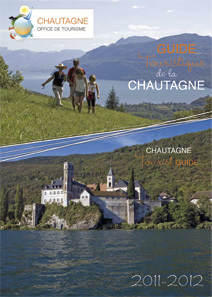 When the Chautagne Tourist Office needed to create a new French-English tourist guide, one of the local elected officials who’d seen my bilingual book on Savoie suggested they work with me. That part of the year I live just up the hill made launching the project even easier: we settled the brochure’s details in person and I know the region well. revising, at the galley stage, the back of the book where the previous years’ database of services and providers was included with all inherited translation errors. Laetitia Joffre, the Tourist Office manager, and I worked closely up to the witching hour and with good humor to update and correct that information. February-March 2012: Updated the guide for the 2012 season!